There will be one familiar and one new face on the Sun City Fire District Board of Directors following the Nov. 6 general election. The five-member board had two seats expiring this year. They were now held by David Mann and Bob Luger, and they both ran for re-election, in addition to challenger Tim Wilmes. Mr. Mann had the most votes, with 9,987, while Mr. Wilmes had the second most votes, with 7,745. They won the two seats on the board. Mr. Luger garnered 6,890 votes. The Sun City Fire District services Sun City, Youngtown and an area just north and west of Sun City called Citrus Point. The fire district board sets policy and provides guidance for management of the Sun City Fire and Medical Department. Appointed to the board to fill a vacancy in 2016, Mr. Mann made his first attempt at election to the board. 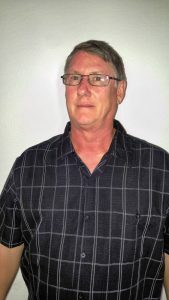 A Sun City resident since 2011, Mr. Mann has 31 years experience in fire protection services. He was a fire protection engineer for the Tucson Fire Department prior to retirement and served the same role in the Sun City district since 2012. Mr. Mann believes the district’s biggest challenge is to negotiate with other districts for cooperative agreements. 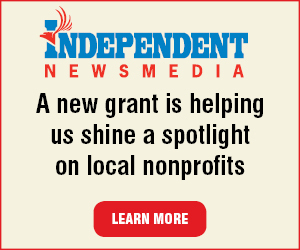 He believes that will help the district financially. Sun City officials already have intergovernmental agreements with the Daisy Mountain Fire District for equipment maintenance, manpower sharing and joint purchases. “We’re not getting a ton of support from the state, but they loosened the rules so we can do this,” Mr. Mann said. He believes the board needs to stay on top of state officials to encourage some changes in the funding mechanisms. The Sun City Fire District is capped in the tax rate it can apply ($3.25 per 100 of assessed value) and in property value growth. “But at the same time, we have to take advantage of the freedoms they give us,” Mr. Mann said. He also believes future planning is a priority for him as a board member. “We have to keep looking to the future and protect our residents the best we can,” he said. 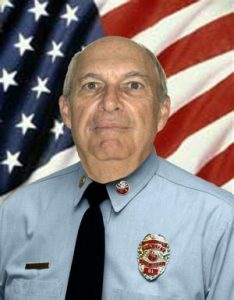 Coming west following retirement, Mr. Wilmes has multiple years in fire service, both occupationally and as a volunteer. He and his wife, living in Florrisent, Colorado, bought a home in Sun City in December 2015 and moved to the community as permanent residents the following year. Mr. Wilmes has 26 years in the fire service, the last 22 at the Minneapolis-St. Paul airport. In Colorado he served six years on the Ute Pass Regional Ambulance Service board, which covered four counties, and four years on a volunteer fire board. He was an emergency medical technician from 1974 to 2008, and is a certified emergency manager. Mr. Wilmes believes the biggest challenge for the Sun City Fire District is 5-10-year goal planning. “I have not seen that the district has a 5-10-year long range plan,” he said. He said his role as a board member will be to work with the fire chief to achieve the long range goals once they are established. “That is the role of board members, to work with the chief to achieve the district’s goals,” Mr. Wilmes said. Mr.Luger completed his second term on the fire board, having been first elected in 2010. Prior to his board service, Mr. Luger served the district in a community relations role. He is also active in the Sun City Posse.